Let’s take a moment to dismiss the bogeyman and talk about this procedure in a more realistic light. What is a root canal? 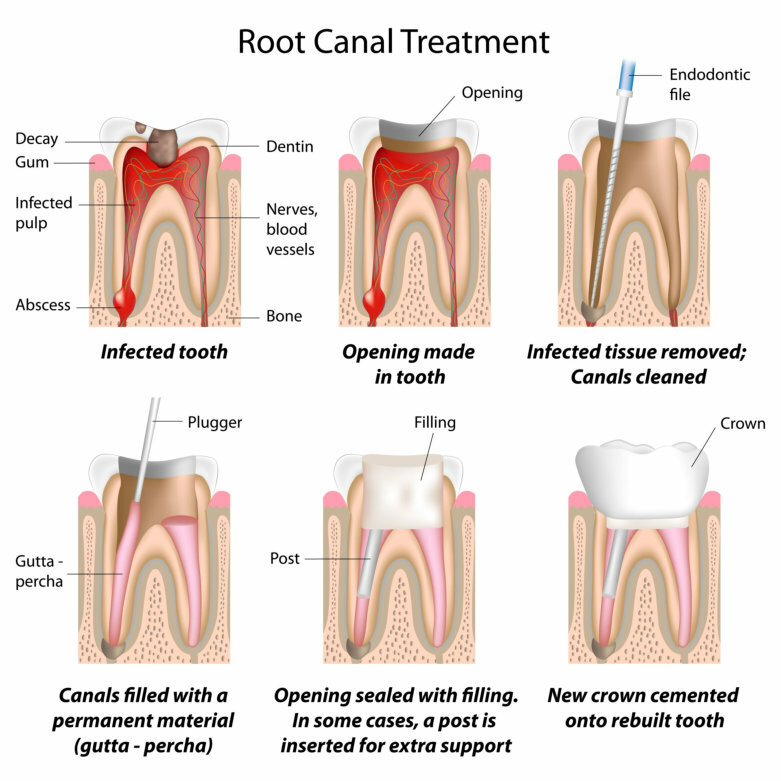 A root canal is a procedure where the doctor will remove the nerve tissue from a tooth using hand and/or rotary files. Once this is complete, the canal will be filled with a material called gutta percha, which will seal the canal and prevent reinfection of the tooth. From there, the tooth will need either a post and core or a buildup, and finally a crown to prevent the tooth from fracture. If you are numb, the whole process will typically take from 25-60 minutes and will be completely painless. The latest advances in dental technology and procedure make it so much simpler than it used to be, and there is no reason to fear it because in the vast majority of cases, post-operative discomfort is minimal or nonexistent also. Still, every once in a while you’ll hear someone talk about this nightmare root canal procedure they had, so how is that possible? This procedure can be painful even through anesthesia when the infection near the roots of the teeth is prolific and acidic enough to neutralize the anesthesia agent. However, usually this can be avoided by draining the abscess and taking an antibiotic for a few days prior to actually initiating the procedure. The other kind of pain commonly associated with root canals is pain of the wallet. The price, especially in conjunction with a crown and build up, is often staggering, especially for uninsured patients, but consider the cost of the alternative. Tooth extraction is often believed to be inexpensive compared to doing a root canal, but let’s investigate that claim a little bit. Once we extract the tooth, we have to factor in the cost of replacing it. Replacement options include implants (More expensive than saving the tooth in almost every case), a denture(about as expensive as a crown, and inconvenient and annoying to use, especially for a single tooth), a bridge(More expensive than saving the tooth, often involves cutting teeth that don’t need to be cut), and not replacing the tooth(often leads to more dental issues as total chewing surface is reduced, resulting in higher wear and tear on remaining teeth, shortening their prospective lifespans). As you can see, there are a lot of common misconceptions regarding root canals. If you have any questions or concerns, don’t hesitate to contact our knowledgeable staff, we’d be happy to address them for you.